While the organization is set to run a fuller review of cannabis next year, assessing all cannabis-related substances, physicians and the cannabis industry have been poised awaiting this decision to deny scheduling for months. Had the WHO chosen to schedule the drug, it could have hamstrung physicians from prescribing medical marijuana globally. The report, published today, also recommended imposing the strong restrictions available on fentanyl, a synthetic opioid which has killed thousands of people in America’s drug addiction epidemic. ‘There is increased interest from Member States in the use of cannabis for medical indications including for palliative care,’ the report said. They added that ‘current information does not justify scheduling of cannabidiol’, and declared that taking medical marijuana will not lead to addiction to THC, the psychoactive property of cannabis that induces a ‘high’. Speaking to Daily Mail Online, Raul Elizalde, the Mexican father who became an unlikely face for cannabis as he fought to get his epileptic daughter treatment, said he was overcome with emotion. He is responsible for driving the Mexican government to legalize medical marijuana so his first-born daughter Grace, who once suffered hundreds of seizures a day, could access CBD. Now, she suffers a few seizures a day. 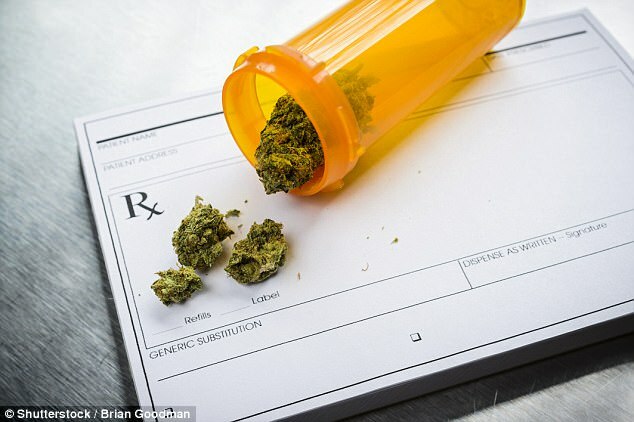 ‘I’m ecstatic that these international health leaders agree that CBD is a substance that should not be scheduled and has therapeutic value for a variety of medical conditions,’ Elizalde, founder and president of HempMeds Mexico, told Daily Mail Online on Wednesday. Speaking last month about his family’s experience venturing into the world of medical marijuana, Elizalde admitted he had never considered the medical benefits of a drug which has caused mayhem and agony in his country. But after medications and surgeries proved futile for Grace, he and his wife, from Monterrey, a conservative and traditional region in the north of Mexico, decided to try CBS. ‘It has changed our life,’ Elizalde told Daily Mail Online.